Immerse yourself in the natural history of North America’s grasslands, and you’ll daydream about going back in time to see the massive herds of bison and pronghorn that made the Great Plains an exciting ecotourism destination for British aristocrats in the 1800s, massive prairie dog colonies stretching over thousands of square miles, and lesser prairie-chickens conducting their ancient and provocative mating dances. In that daydream, you’ll not only ache to view these spectacular wildlife phenomena but to make sure they persist for millennia to come. It turns out you don’t need time travel. Sure, reach back to that rich history for inspiration and to guard against a shifting baseline, where we settle for less than what use to be. But, in the southern Great Plains right now, we can protect an amazing array of uniquely North American wildlife through the establishment of private wildlife refuges. Just buy the land under the critters’ feet. Use the free market and private property rights to advance permanent, tangible conservation. The opportunity is immense, given that the region has seen declining human populations since the Dust Bowl of the 1930s, much of the habitat remains intact, and land prices are low. The shortgrass prairies of the southern Great Plains provide, in some senses, a step back in time. The sheer extent of sweeping, intact grasslands embodies outstanding scenic and conservation values. The gently rolling landscape challenges the notion of a flat and empty land: its relief can hide a herd of pronghorn or an oasis of grandmother cottonwood trees. Where the swells lessen, you might encounter a lively, bustling prairie dog town. Prairie dogs are the MVPs of the shortgrass prairie, creating habitat for hundreds of wildlife species. 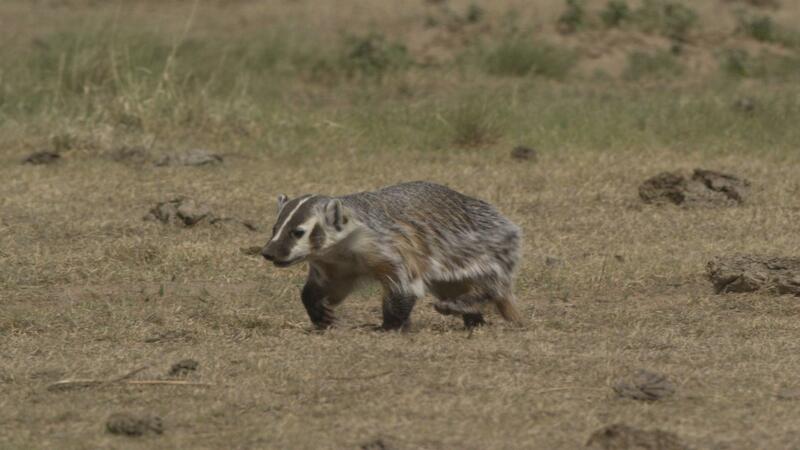 Just follow the hawks and badgers: they’ll show you the prairie dog colony hotspots. I think of the prairie as a place that breaks your heart one moment and makes it sing the next. There’s a melancholy here, and I think it’s because we all know, deep down, how much we’ve lost. Yet, the celebration is in what remains and the promise of returning the whole. Much of the region has never been plowed, and most of the animal species assemblage persists or might feasibly be reintroduced. 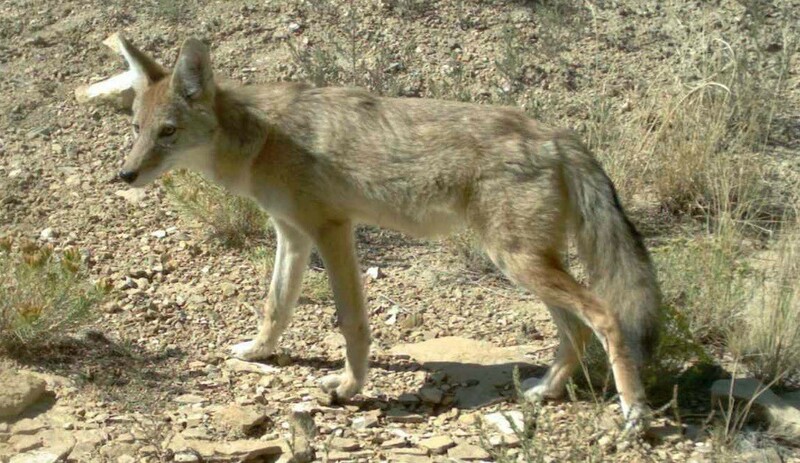 The coyote provides a defiant reminder of the enduring wild spirit of this place. While reference to the Great Plains as America’s Serengeti is an imperfect analogy, it is intended as a way to communicate that our region is important and worth preserving – on the order of the African Serengeti. Dan Flores alerts us to that in his award-winning book, American Serengeti: The Last Big Animals of the Great Plains, where he chronicles the dazzling animal abundance that rendered John James Audubon speechless in the 1840s. The tale that then unfolded was a sorrowful one: where species after delightful species was hunted to the very brink of extinction and sometimes beyond. They string together, bison-pronghorn-elk-grizzly bear-grey wolf, with the drivers of disappearance being market pressures and a quest to tame the wilderness. But there’s a spark of hope today: bison can be reintroduced, pronghorn have held on, and elk can find the way back to their prairie home from the mountains. Prairie dogs can flourish if we just spare them from poisons and guns. 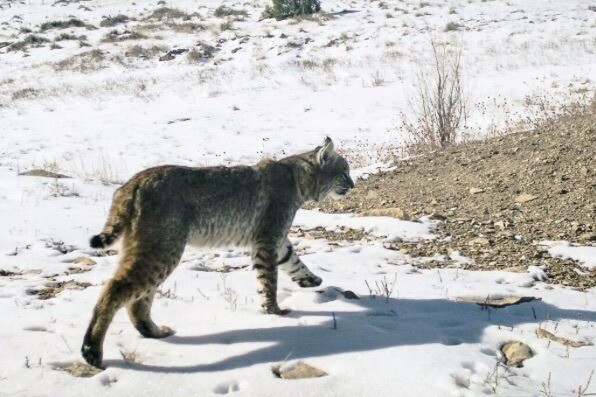 The large predators are more of a challenge, given the intolerance they face even now in forest and mountain landscapes outside of our region, including those with large swaths of federal lands. We cannot depend on public lands in the southern Great Plains to preserve biodiversity, as they are broadly utilized for livestock grazing and energy development, 90% of the land within our region is private, and the wildlife is often heavily hunted on public and private lands alike. Large-scale private refuges are vital to prevent the conversion of native grasslands to crop agriculture, energy development, and other land uses that would irreversibly alter shortgrass prairie plant communities. Equally important is preservation of wildlife: we can’t just protect the habitat – we need to protect the wild animals and plants that bring the landscape to life. The need for large protected areas is increasingly recognized by scientists across the world, especially the Pulitzer Prize-winning author and scientist Edward O. Wilson. In Half-Earth: Our Planet’s Fight for Life, Dr. Wilson advocates that 50% of the planet be protected in preserves to prevent biodiversity loss. Less than 1% of the Great Plains is conserved. We’d better get busy. 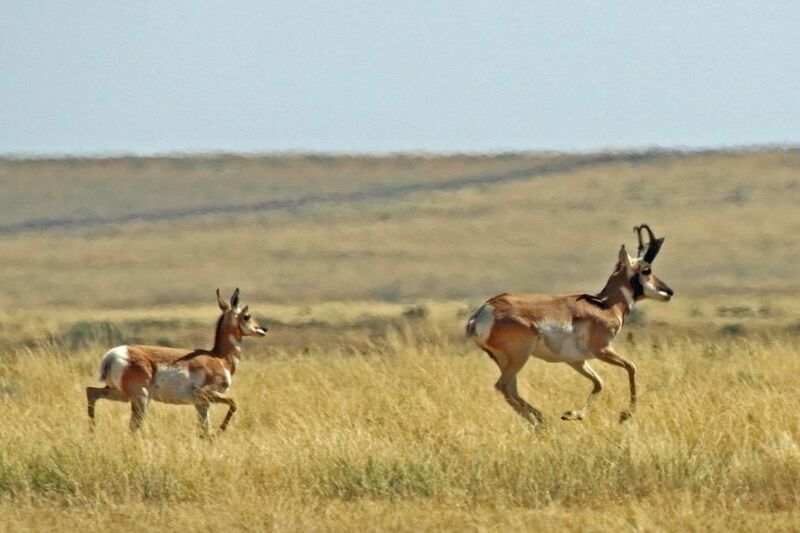 The Southern Plains Land Trust (SPLT) is creating and protecting a network of shortgrass prairie preserves, to ensure the future of all native animals and plants in the southern Great Plains (a similar effort is underway in the northern Great Plains by the American Prairie Reserve.) Thus far, SPLT’s preserve network contains over 25,000 acres. Unlike many other land trusts, we prefer to purchase and hold land ourselves so that we can manage it for biodiversity. We own 23,000 acres and hold conservation easements on an additional 2,000 acres. Our largest property is Heartland Ranch Nature Preserve in southeastern Colorado. 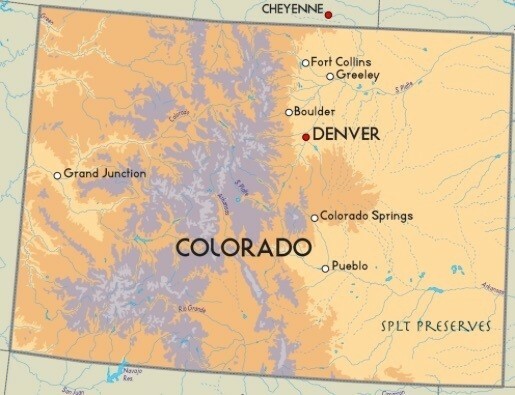 At over 18,000 acres, Heartland Ranch is nearly 30 square miles in size and larger than the city of Boulder, Colorado, and any one of Colorado’s state parks. 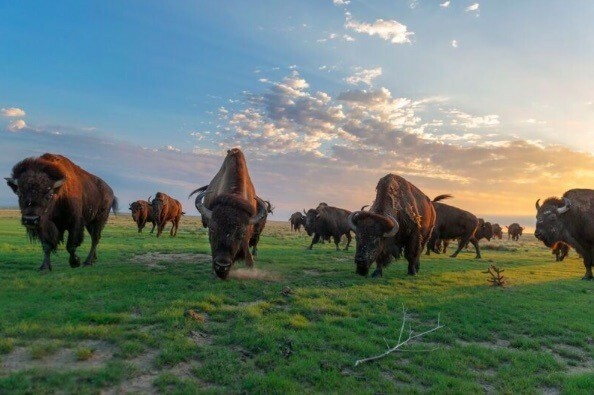 SPLT has reintroduced bison to Heartland Ranch, thus putting back in place the US National Mammal. This keystone species maintains grasslands by ripping out shrubs, creating a mosaic of taller and shorter grass areas that benefit a suite of prairie birds, and whose wallowing provides microhabitats for prairie wildflowers and ephemeral pools for spadefoot toads. Historically, bison and black-tailed prairie dogs were bookends of biodiversity on the shortgrass prairie. Heartland contains at least 10 prairie dog colonies, which we are protecting from threats so that one day we can reintroduce the black-footed ferret, one of North America’s most endangered mammals. 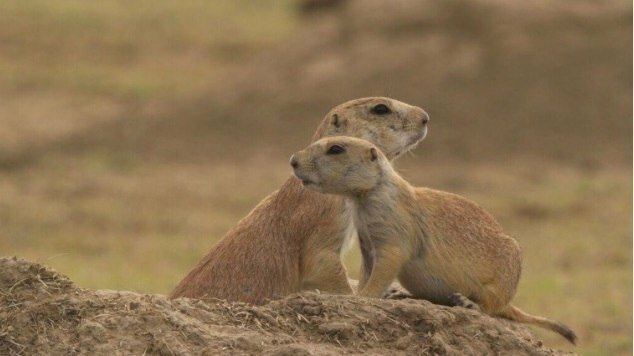 In the meantime, black-tailed prairie dogs themselves urgently need safe refuge, given their decline by about 95% from historic population levels. They have long been persecuted by agricultural operators, often in tandem with government agencies, given the perception that prairie dogs compete with cattle for forage. While prairie dogs no doubt consume plants, over four decades of science now shows that under some circumstances they can benefit livestock by reducing shrubs, enhancing nutritional value and succulence of forage, and increasing the ability of soils and plants to absorb precipitation. Yet, the persecution of prairie dogs continues. 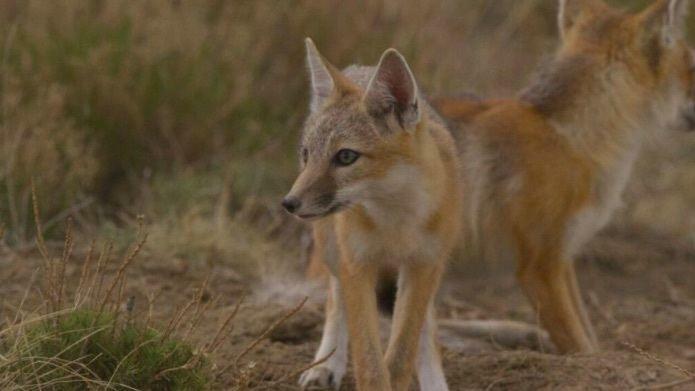 This is bad news not only for prairie dogs but also for the wildlife that depends on them. Like the bison, prairie dogs are a keystone species. Alongside the black-footed ferret, imperiled wildlife that benefit from prairie dogs and the habitat they create include the swift fox, burrowing owl, mountain plover, and ferruginous hawk. These associated species have all been adversely affected by the dramatic decline in prairie dog populations. Absolute refuge is a must for the present and future of the prairie dog ecosystem. By refuge we mean no hunting or exploitation of native wildlife. At SPLT, we think that’s the least we can offer the region’s wildlife, many of whose populations are a shadow of their former selves. Think of pronghorn. Historically, they numbered about 15 million individuals. Today, there are fewer than 1 million. This quintessential American athlete (they go by the scientific name, Antilocapra americana, after all) is the fastest land mammal in our hemisphere and deserves a secure future. Another important part of the effort to bring back the American Serengeti involves grassland breeding birds. Birds that breed in the Great Plains are the most rapidly and consistently declining suites of birds in North America. Declining grassland birds include the mountain plover, long-billed curlew, lark bunting, lesser prairie-chicken, loggerhead shrike, chestnut-collared longspur, and short-eared owl, all of which occur in SPLT’s focus area and would benefit from our preserves. Even the abundant and common creatures – coyote and mule deer are good examples – likewise merit places where they can participate in the natural rhythms of their prey or predator lifestyles, without human interference. Quite simply, they deserve the space to be their beautiful selves. Outmigration of younger generations, a declining population, and an economy in need of diversification are recognized as the region’s top problems. Population decline has resulted in frontier-era human population densities of 2-6 people per square mile across much of the region, and the poverty rate in one of the counties where SPLT works is triple the state average. Across the plains right now, in an area that seems resistant to change, the undeniable demographic and economic trends are leading to more and more conversations about the need for something new. 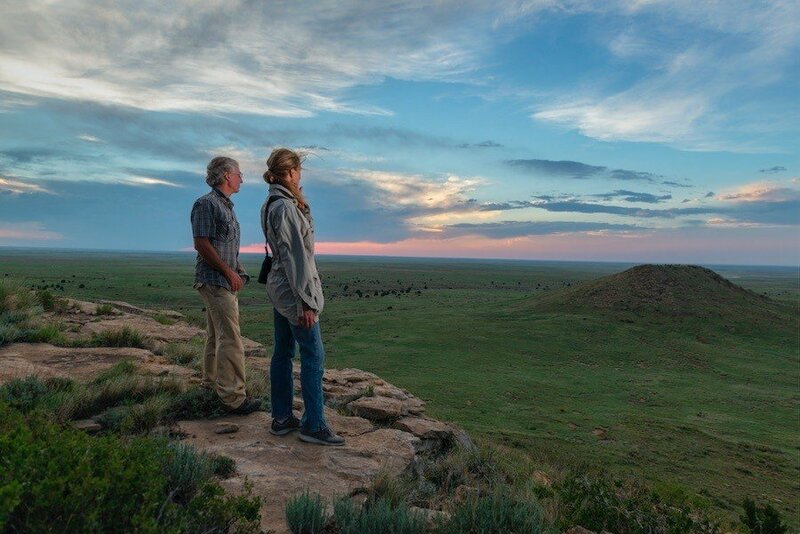 One promising effort is the Great Plains Ecotourism Coalition, the members of which (SPLT included) believe that the natural beauty of this place is a resource that local economies can bank on. It is SPLT’s view that a restoration economy can take root, where visitors stream to the area for the pure joy of planting trees along prairie streams and tearing out fences that are hazardous to wildlife, guided by the vision of an American Serengeti. In the process, those visitors will spend money at local gas stations, motels, and restaurants, thus breathing life into small towns whose main streets are presently lined with shuttered businesses. SPLT’s approach does not entail a large-scale public park managed by government agencies, but rather a network of large private wildlife preserves managed by our organization, which has an unwavering commitment to the preservation of biodiversity. We establish those preserves in the most straightforward and reasonable way: by purchasing land from willing sellers. Our neighbors are free to manage their land for cattle; we’ll manage ours for bison and prairie dogs. In fact, we view our private lands conservation solution as completely in step with a region known for its preference for limited government and libertarianism. In short, we’re as American as pronghorn. Time and time again, the shortgrass prairie offers up more treasures. Visiting scientists find rare plants and animals on our properties, often improving the state of knowledge (for example, the known range, population size, and habitat preference) for these species. A notable example is the Colorado green gentian, a beautiful wildflower found in southeastern Colorado and nowhere else on the planet. 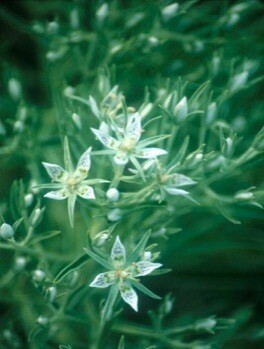 SPLT’s properties boast some of the largest populations of this plant in existence. We’ve seen prairie dogs come surging back from plague on our preserves because we’ve taken away the other threats – shooting and poisoning – that prevent recovery elsewhere. Our area also has a particularly high density of burrowing owls, no doubt because of the large prairie dog complexes that remain. 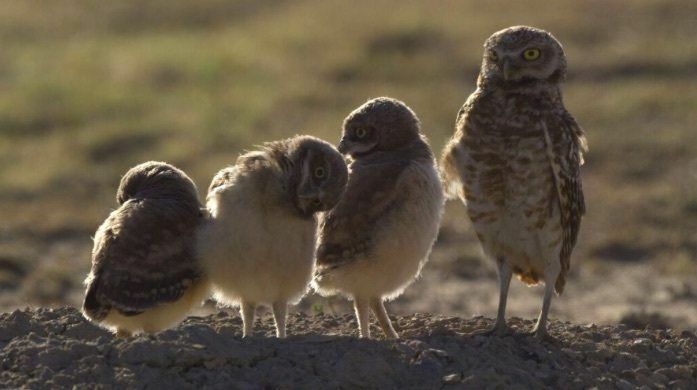 This pint-sized owl is active during the day and, in our region, breeds and raises its young within prairie dog burrows. Other wildlife that find refuge on SPLT preserves include elk, pronghorn, mule deer, coyote, badger, bobcat, golden eagles and hawks, songbirds, and many others. The region experiences a fascinating phenomenon each fall: the large, charismatic, and long-lived tarantula can be seen crossing the prairie en masse to breed and create new generations. As a result of shallow seas during the Cretaceous Age, marine fossils are found in abundance, including countless clams, ammonites, and mussels, as well as occasional shark-teeth, the latter reminding visitors that large sharks once swam through what is now an ocean of grass. Our preserves all have unique conservation values well worth preserving. But we’re not about to stop expanding our preserve network. With E.O. Wilson’s words ringing in our ears, SPLT will continue to acquire more land because more land means more refuge for more wildlife. We have another $1 million to raise to complete our expansion of Heartland Ranch to 18,000 acres. We’ve given ourselves 2019 to do it so that we can quickly pivot to other opportunities to expand our existing preserves and establish new ones. Please consider supporting SPLT’s effort for a new, wilder west and check out our latest progress report. We deliberately keep our overhead low so that we can convert donor dollars into land: fully protected, permanently preserved, land and all the wildlife within.